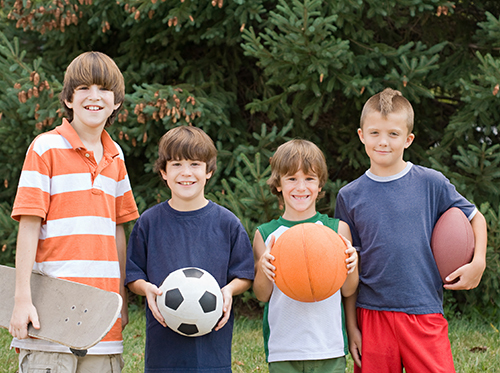 Dr. Bruno and our team recommend always wearing a protective mouthguard to participate in most physical sports. We especially encourage this if you have braces that can potentially cut your mouth or cause damage to your teeth. You have various choices to consider when you’re looking for a protective mouthguard. Another option is to have Dr. Bruno make a custom mouthguard for you. The mouthguard will be designed with built-in layers to protect both your teeth and braces when it’s worn. Having Dr. Bruno create a custom-fitted mouthguard will ensure optimal protection and a comfortable fit whenever you participate in physical activities. Protecting your teeth and braces is essential when you compete in sports. Accidents happen, and having a preventive mouthguard can potentially save you from oral pain and damaged braces. Our Clawson office is happy to assist you in creating a custom-made mouthguard for any sports activities you want to pursue. Sometimes food that’s good for your body isn’t necessarily the best for your teeth. 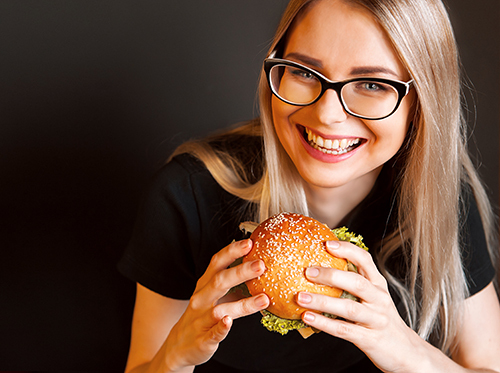 Dr. Bruno and our team want you to know which healthy foods can harm your teeth and gums, and what steps you can take to continue enjoying these foods, even when you’re dieting. If you have questions regarding your current diet and its effect on your oral health, please contact our Clawson office and speak with a member of our staff. If you’ve begun to make changes in your diet toward a healthier lifestyle, we hope these tips can help your make positive changes to your oral health. Our team at Bruno Orthodontics wants a healthy lifestyle to be a top priority in your life. It’s true that orthodontic braces can give you a beautiful smile. But did you know there are other benefits of having braces than just getting perfectly straight teeth? Dr. Bruno and our team want you to understand the other positives that can come out of having braces and relate to your oral health. If you have questions regarding braces and how they can help you, contact our Clawson office and set up a consultation appointment. Braces can help with many oral health problems, and may save you a lot of money and time in the future. Mouth Infections and Other Medical Problems. A mouth infection, sinus infection or even the common cold can cause you to temporarily have bad breath. Even conditions such as diabetes and reflux can cause halitosis. It's always wise to see Dr. Bruno to help determine the cause. Even if you maintain good oral hygiene, it's important to see Dr. Bruno at our Clawson office to deal with or avoid problems with bad breath. We can help you uncover the cause of halitosis, while also providing solutions that allow you to enjoy fresh breath without relying on mints and breath fresheners. As is the case with all things related to oral health, we are your number-one ally when it comes to eliminating the problem of bad breath.